This addon plugin allow you to integrate WP eStore plugin with the MadMimi Email Marketing solution. You can use it to add customers to your MadMimi email list when someone purchase your product(s). Step 1) Go to the MadMimi integration settings interface from your main eStore menu. Step 3) Edit the eStore product (the one that you want to link to MadMimi list) and specify the list name in the List Name field. Save the product and you are done! 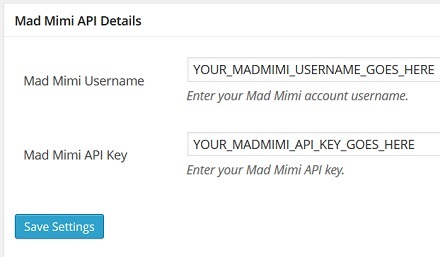 Now every time there is a new transaction or squeeze page form submission for this product, the customer will be automatically added to your MadMimi list. The MadMimi Integration Addon is FREE for all customers who purchased WP eStore plugin from us. You can download this addon from the addon download area of our customer only support forum.